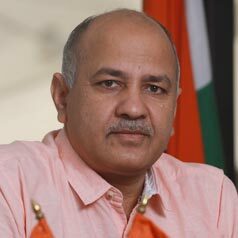 Sisodia is a well-known activist who came to prominence during the Jan Lokpal Movement. Earlier, he was a prominent journalist and was associated with Zee News and All India Radio. He quit journalism to participate in the movement for Right to Information. A key member of the team that led the foundation of the Jan Lokpal Andolan, Sisodia was also sent to jail with Shri Anna Hazare during anti-graft movement. He also sat on the 10-day fast demanding setting up of a SIT to probe cases against corrupt union ministers. Apart from being a courageous voice against corruption, Sisodia has been passionately working for revolutionary changes in education system. He feels that education is the ultimate paradigm on which we can stand for a just and fair society.